It’s great to be with the kids- but it’s also nice to be able to shut the door on them! Holidays are fabulous, but there are sometimes downsides. I know, this could come perilously close to complaining, and I do realise we are extremely lucky enough to be able to go away, exploring the UK and beyond. But although I love spending time away as a family, those kids sometimes get in the way. Let me clarify. I mean at night. And I mean when they are sharing our room. It can be hard enough to find a family sized room, but once you have, you then all have to sleep in it together. This can mean that the children don’t fall asleep until incredibly late, or that there is no space (we stayed in one B&B in Northamptonshire where I was convinced I was going to step on my toddler and kill him if I attempted to move). It also means that, if one of you likes it very dark to go to sleep (that’ll be me then) and a child likes it light, you’re in trouble. And I haven’t even mentioned the heavy breathing (the asthmatic child) or the waking up very early (the other one). All of which explains why I love interconnecting rooms. They are the holy grail of the family holiday and we are fortunate enough to have stayed in some which have made our holiday even more pleasurable. Sometimes these rooms are more expensive, but they are often remarkably good value and can make a real difference to your vacation. When we visited Newcastle, a few years ago, we stayed in the Gateshead Hilton and had two rooms next to each other. There was a door between them which could be locked (for “normal” visitors) or open so that the children could stay next door, but come freely in and out. At night time we shut the door (although we didn’t lock it) and peace reined. We also stayed in a gorgeous B&B in Shropshire, called Mynd House (you can read about this trip here). Here we had the top of the house, which included two rooms and a bathroom. That was a real pleasure, as was the Merton Hotel in Jersey, which offered a range of family rooms. When we visited Bristol this summer, we stayed in another B&B called Winston Manor. We paid under £100 a night (including a slap up breakfast) for the four of us to stay in two rooms which had a door between them. It wasn’t madly cheap, but we only stayed for a few nights and the children even had their own bathroom and TV. It was wonderful. There sometimes don’t seem to be enough rooms set aside for family travel – I mean ones which are big enough for more than a double bed and a cot, or take into account the fact that adults may want to be separated from their children (especially as those children grow up). My kids are now at an age when they don’t like sharing a bed, which is understandable, but we are often given this option, offered two double beds between the four of us. If you liked this post, please could you pop over to the Britmums website where we are absolutely thrilled to say that we have been shortlisted in two categories for the Brilliance in Blogging Awards (or Bibs). 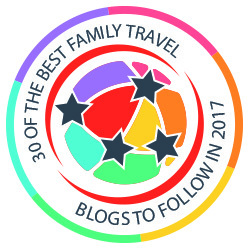 If you could vote for us, Family Travel Times, in travel and video (please click where it says “vote for them now”), we would be hugely grateful. Thank you! I agree, the room arrangements can make all the difference when it comes to family holidays. This is especially true if, like me, you have kids of different sexes and with a bit of an age gap. My 15 year-old daughter and 10 year-old son aren’t keen on sharing a bed these days. Absolutely – wish more hoteliers realised this! I’ve written about the elusive interconnecting rooms too – some time ago now. Much prefer them to family rooms as there is more privacy and usually an extra bathroom. We stayed in fab ones in Nice – the Palais de la Mediterranee plus very funky ones in Madrid – Hotel Urban. another great family and group friendly accommodation near Bristol Airport is Hillcroft accommodation. They have a number of different rooms with interconnecting doors – just great for families.